If you are feeling tired all the time, there are good chances you could be suffering from chronic fatigue syndrome. While you might think of this as a feeling that might simply pass, it is important to bear in mind that if it continues for an inordinate amount of time, it might well be a chronic condition. 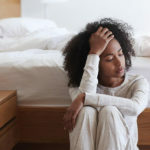 This is because the symptoms of chronic fatigue syndrome mimic a lot of other ailments, and therefore it is essential to get that correct prognosis so you can deal with it in a timely manner. You will see that this condition is also known as systemic exertion intolerance disease (SEID) or myalgic encephalomyelitis (ME). Where it comes to the cause of chronic fatigue syndrome, it is largely unknown. 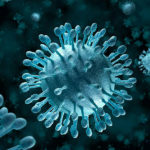 There are many theories out there, theories ranging from viral infections to psychological stress. It can be a most debilitating condition; one that can make it difficult for you to complete even the simplest tasks. That being said, every single person who has chronic fatigue syndrome, has his or her unique set of symptoms, the intensity of which can vary. It is important to note that this fatigue and drop in activity must be present for at least six months, if there is a possibility of it being labeled as chronic fatigue syndrome. That being said, there is no single test that can be used to confirm a diagnosis of this syndrome. In fact, your doctor must rule out a number of other illnesses, before zoning in on chronic fatigue syndrome as being the cause behind your tiredness. That is why it is absolutely essential to see a doctor, so you can rule out the other conditions that might be causing that chronic fatigue, before you come to the realization that CFS is, indeed, behind the cause of your tiredness. Of course it is important to go to a doctor you trust, so you might wish to visit your family physician, where it comes to arriving at that all important judgment regarding your condition. Here’s a look at what you should bear in mind in lieu of that critical doctor’s appointment. Of course the very first thing you wish to do is share the symptoms that you might be experiencing, with your doctor. While it is obvious that fatigue is the central culprit, you might also wish to make a mental note of other things like headache and memory problems, that are important to share with your physician. These can help further where it comes to making the right diagnosis. This is most important, as well. You will find that there might be stressors in your life, or perhaps even recent changes, that might have a very important role to play in your physical condition. Make sure that you keep in mind all of these, before your visit to the doctor. If you have something like diabetes, you want to tell your doctor that. If you are taking medication for the same or for any other ailment, you want to share that information with them too. Even if it is something as innocuous as taking a multivitamin, make sure you tell your doctor. Make a list of the most pertinent questions that you should be asking your doctor. Of course you have a lot to be asking your doctor, and these are some of the most important questions you should be asking, in order to gain a better understanding of exactly what it is you are going through. What are the tests that you would recommend I undertake, in order to zone in on what might be causing my fatigue? What is the basis on which you would make a diagnosis for chronic fatigue syndrome? What are other treatments and lifestyle changes that can help my symptoms? Do you recommend that I see a mental health practitioner as well? Of course, there might be other questions that crop up in your mind during the course of your doctor’s appointment, and you should ensure that you don’t hesitate to ask them. Needless to say, you doctor is going to ask you all the questions that are necessary for him to decide what step to take further. He will carefully dissect your symptoms and even ask when they started. He will ask everything from what makes your symptoms better and worse, to how far they go in hindering your functioning. For instance, have you ever had to miss your work on account of your symptoms? Chronic fatigue is something that can go on for a long time, and you really want to do something about it so that you can lead the kind of life you deserve to live. So, don’t hesitate to call your doctor for that appointment. You need to do this for yourself. If you are feeling tired all the time and you don’t know why, and it has gotten to the point that you are reading this article, then there are good chances that you do indeed have chronic fatigue syndrome. On the other hand, there are perfectly good chances you might not be suffering from this syndrome at all. In fact, fatigue is a very common complaint doctors hear, and since they are the best people to help you diagnose the condition, it is best you seek their professional help so you get the lowdown on what really ails you.